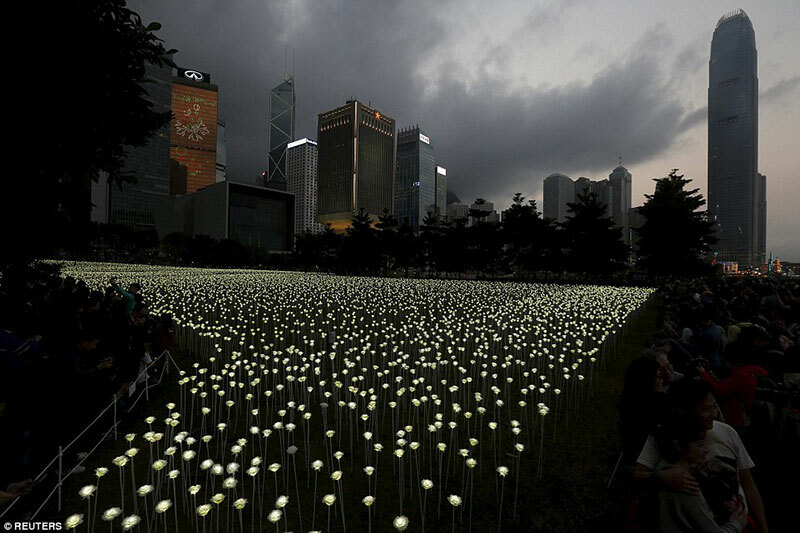 Light Rose Garden is an art installation in Hong Kong's Central Promenade and Tamar Park featuring 25,000 white roses with LED lights. 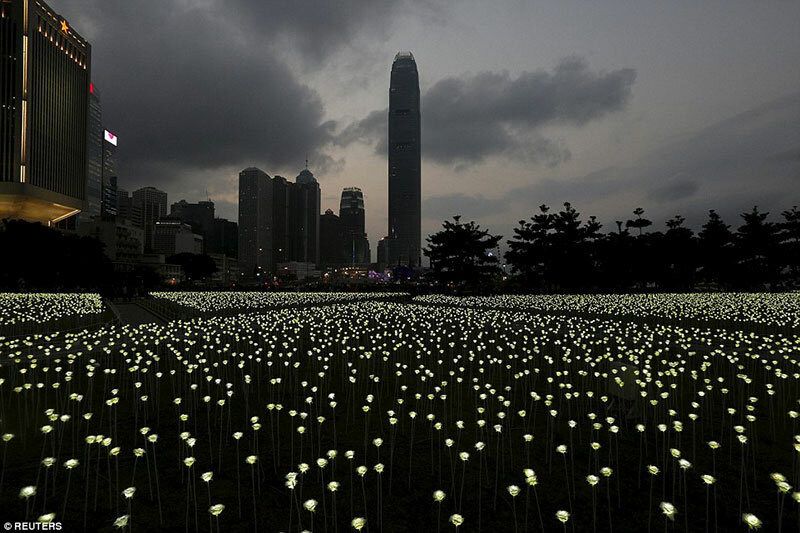 First displayed at Seoul’s Dongdaemun Design Plaza by creative agency Pancom in October 2014, the water-proof LED roses with seven layers of petals were planted in the open space to celebrate Valentine’s Day and the Chinese Lantern Festival from February 14–22. 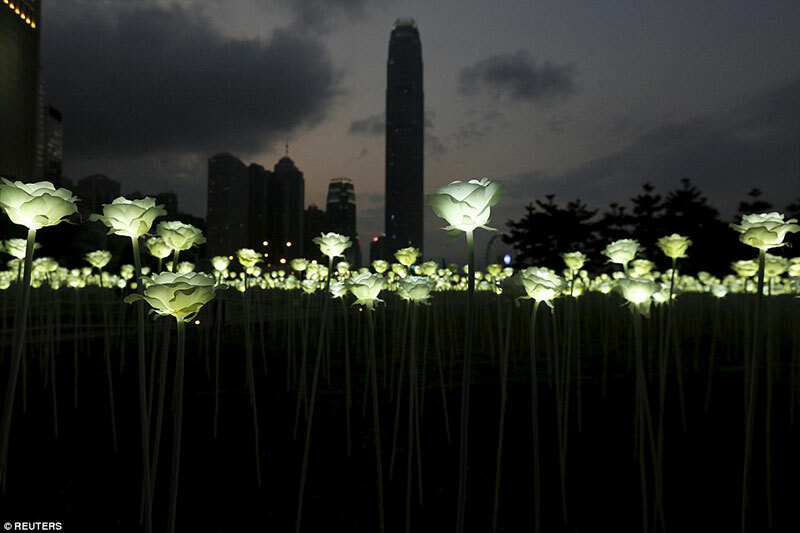 Visitors can buy an LED rose for HK$100 each as a permanent souvenir from the garden, with part of the proceeds to be donated to the Hong Kong Fair Trade Alliance. 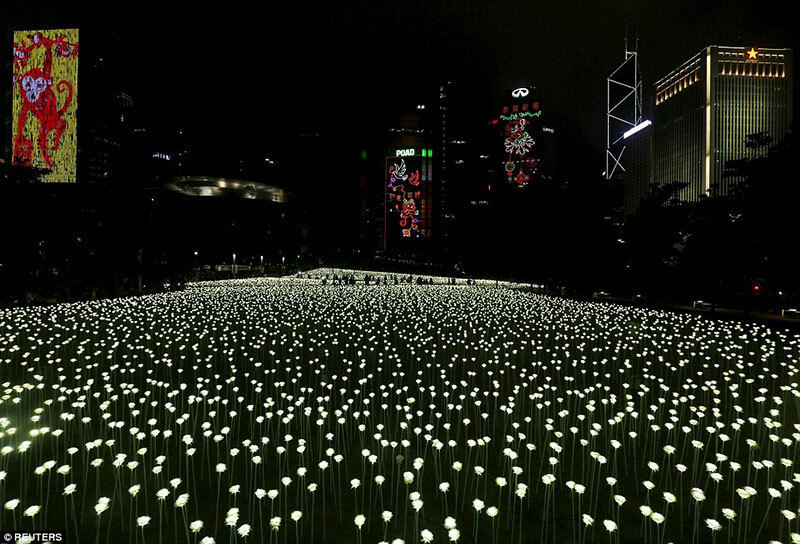 Light Rose Garden is an art installation in Hong Kong's Central Promenade and Tamar Park featuring 25,000 white roses with LED lights.